Bringing us ever closer to a thriving in-space economy, MOMENTUS has signed a partnership agreement with ECM Space as a launch provider for the first in-orbit test of microwave electrothermal plasma propulsion with water as a propellant in Q1 2019. MOMENTUS’ revolutionary water plasma propulsion technologies and spacecraft platforms with high ∆V capabilities will enable ECM clients to deliver payloads from LEO and GTO to GEO, Moon orbit and beyond. The propulsion technology Momentus is developing is perfectly suited for low cost access to the orbits higher than LEO. Use of low pressure water as a propellant unlocks the potential for ride share launches and dramatically reduces the price of access to GEO/Lunar Orbit/Deep Space for small satellites. We plan to actively use Momentus’ high ∆V capable platforms to deliver payloads for our customers beyond LEO. 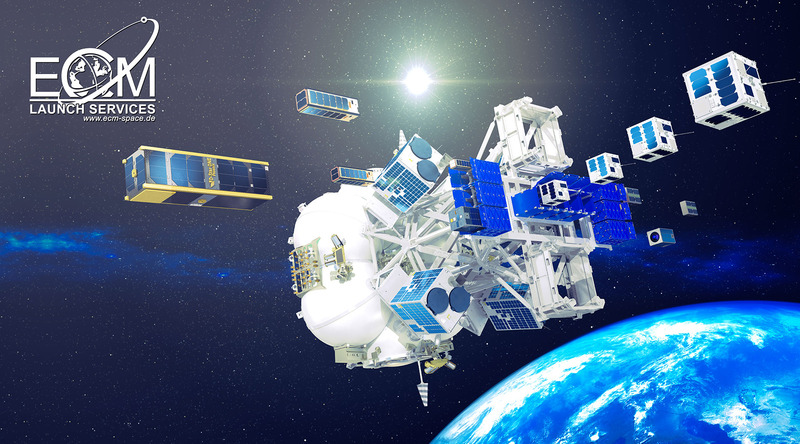 Because ECM Space is an experienced launch provider and small satellite player, they are an excellent partner for the solutions MOMENTUS is developing. We are planning to jointly develop rideshare options for clients who would like to deliver payloads to destinations currently unreachable by small satellites. Our mission is simple: we want enterprise and existence to flourish in space and we know that creating truly efficient in-space transportation will make that possible. Rooted in breakthrough propulsion technologies (as in, no one else has tackled them yet), our transportation services will simultaneously power and be powered by deep space resource utilization, ushering in a new era of movement within our solar system. We are doing this by developing the first in-space rockets powered by water plasma engines. Our rockets use solar energy to heat water with microwaves up to the sun’s surface temperature, ejecting superheated gas through the nozzle to create thrust.